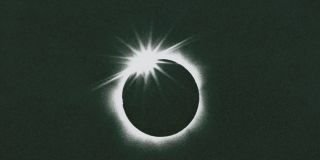 The total solar eclipse of March 7, 1970, ran along the East Coast of the United States and was rigorously observed as well as televised. As this year's "Great American Total Solar Eclipse" approaches, NASA scientists commemorate the total solar eclipse of March 7, 1970, when 32 sounding rockets were pointed to the skies to study the spectacular celestial event. On Aug. 21, 2017, the moon will completely cover the sun and darken skies all the way from Oregon to South Carolina along a stretch of land about 70 miles (113 kilometers) wide. This will be the first total solar eclipse visible from the United States mainland since 1979. The eclipse, also known as the "eclipse of the century," ran along nearly the entire East Coast and passed directly over NASA's Wallops Station (now Wallops Flight Facility), where researchers launched 32 sounding rockets, also known as suborbital rockets, to "conduct meteorology, ionospheric and solar physics experiments surrounding the solar eclipse event," NASA officials said in a statement. This campaign required eight different launch vehicles, including ARCAS, Nike-Apache, Nike-Cajun, Nike-Tomahawk, Nike-Iroquois, Aerobee 150, Aerobee 170 and Javelin. Nike-Cajun led off the campaign with its launch on March 6 at 4:30 a.m. EST to measure Earth's ozone layer and water vapor. Subsequent rocket launches followed on March 6 through March 8. NASA launched 32 sounding rockets, some of them seen on rail launchers here, from the Wallops Flight Facility on Wallops Island, Virginia to study the total solar eclipse of March 7, 1970. In addition to the rockets launched from Wallops, NASA scientists also collected data from two sounding rockets launched from the White Sands Mission Range in New Mexico (outside of where the sun was fully covered, called the eclipse's path of totality), the Mariner 6 spacecraft, six Earth-orbiting satellites and ground-based observers in Virginia and Mexico. Scientists compared observations of the eclipse and its effects from all the different locations. "While the eclipse on Aug. 21, 2017, may not provide the opportunity for a rocket spectacle such as that provided on March 7, 1970, NASA is gearing up to support a wide range of science observations," NASA officials said in the statement. Thousands of spectators flocked to Virginia's Eastern Shore near NASA's Wallops Flight Facility on Wallops Island on March 7, 1970 to witness a total solar eclipse as NASA launched sounding rockets. In fact, the 2017 eclipse is expected to be the most observed and documented eclipse in human history, scientists have said. "The 2017 eclipse will take around an hour and a half to cross from Oregon to South Carolina, providing ample time for repeated measurements across the nation: Atmospheric and solar measurements will be gathered with satellites, aircraft, ground-based instruments and weather balloons," officials said in the statement. Editor's Note: If you take a great photo of the 2017 solar eclipse or any other celestial sight you'd like to share with us and our news partners for a possible story or image gallery, send images and comments in to managing editor Tariq Malik at spacephotos@space.com.